The 2014 Ebola epidemic in West Africa was the largest in history. Beginning in Guinea in December 2013, the epidemic quickly spread into neighboring Liberia and Sierra Leone, where weak health systems unable to cope with the outbreak left populations vulnerable. More than 11,000 lost their lives. 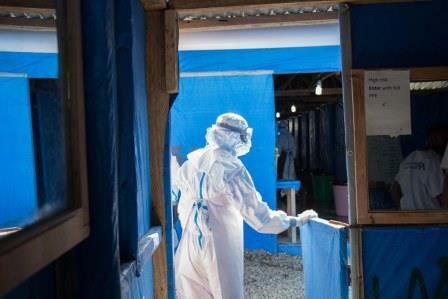 As part of global efforts to contain the outbreak and strengthen the capacity of the health systems in these countries, we delivered more than $700,000 in protective equipment and supplies to Liberia and Sierra Leone to combat the Ebola outbreak. On May 9, 2015, the World Health Organization declared Liberia free of Ebola virus transmission. Neighboring Sierra Leone was declared Ebola-free on November 7, 2015.